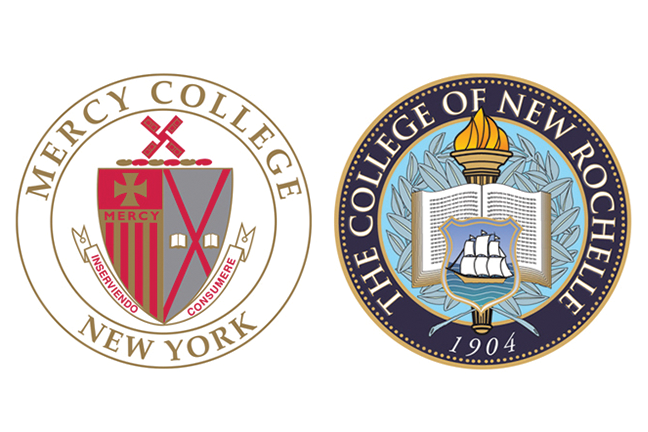 This month’s characters: The College of New Rochelle in New York, playing the role of closing institution, and nearby Mercy College, assuming the part of student opportunity creator. Details of this agreement, however, reveal what some in higher ed see as refreshing possibilities—mainly the retention some faculty and use of campus buildings. Mercy is looking to make temporary, and possibly longer-term, job offers to faculty who teach CNR programs that Mercy doesn’t have. “We are worried that many faculty will scatter to other opportunities, so we’re trying to act fast to offer many of them a place at Mercy,” says Tim Hall, Mercy’s president. That place will likely mean a one-year offer, with a reassessment of the situation once it’s clear how many students from the programs have migrated over. The college’s governing regulator has said it would look more favorably on Mercy’s request to take over programs not currently offered if relying on CNR faculty to teach them, Hall adds. Uncertainty remains for CNR students as details get worked out. 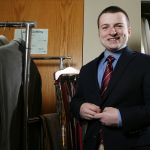 “We’ve talked with CNR and the state to try to find a pathway for every single student. It’s not clear yet exactly how this will happen,” says Hall. Other details in the works include how to register continuing students at Mercy and get them financial aid packages. Mercy is also reaching out to students who have applied to and have been accepted to CNR, with guidance from the state. Both colleges are clear to state that the agreement is not an acquisition, merger or partnership. “CNR has a lot of debt, unfortunately, and it’s dispersed among creditors. It’s not easy to get everyone to the table,” says Hall. In addition, for the agreement to take effect, both colleges must obtain regulatory approvals. Working with Ernst & Young, Mercy officials have been able to make financial projections and better understand the economic realities of various choices. 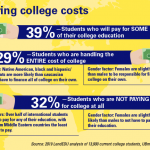 “Teach-outs put you in a situation where you are losing all those lower-level courses that subsidize the upper-level courses [taught by the most experienced, well-paid faculty],” Hall says. The hope is that Mercy can be successful in inheriting a stream of lower-level students. One of Samels’ hopes is that leaders of other schools that fit the characteristics of the fastest-dying institutions—small, tuition dependent, religiously affiliated, etc.—recognize and face the situation by making midpoint corrections. “The writing was on the wall,” he says of CNR. Although CNR will soon be gone, Mercy officials plan to preserve parts of the school’s history—such as by still holding reunions for CNR alumni and possibly using names that are important to the institution’s past. Hall can envision asking his board to add CNR board members or alumni. Closure timing: The closure could be completed by the conclusion of summer 2019 or earlier; it is still to be decided. Goal: The purpose of the agreement is to ensure a seamless transition for CNR students to continue their education at Mercy. Related roots: The College of New Rochelle was founded in 1904 by the Ursuline Sisters, and Mercy College was founded in 1950 by the Sisters of Mercy; both are Roman Catholic church religious institutes. Student pathway: The automatic transfer for many of CNR’s students in good standing to Mercy is planned for fall 2019, so they can continue their education uninterrupted (subject to regulatory approval). Exceptions: Some CNR academic programs that are not currently at Mercy are up in the air as Mercy applies to the state to offer them; Mercy may hire CNR faculty and staff, and lease portions of CNR’s campuses to host classes and other activities. Tuition and credits: Mercy will offer the same or lower tuition, plus the transfer of all credits, for most CNR students. Communication: Town hall meetings with students, faculty and staff are planned, and a FAQ webpage is available (www.cnr.edu/cnr-mercy).